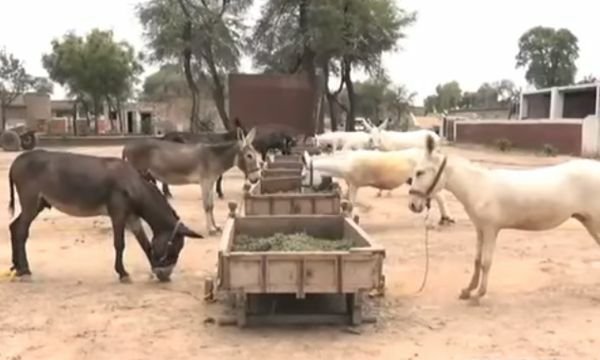 The Live Stock Department of the Khyber Pakhtunkhwa is going to develop donkey farms. The purpose behind such farming is to raise the exports of the country. According to the officials, they will set up two donkey farms at Dera Ismail Khan and Mansehra with the collaboration of foreign companies. Probably, the Live Stock Department will collaborate with the Chinese companies as they have already shown eagerness in making donkey farms in our country. The official further says that these companies will sign a contract with the Government of Pakistan. Only those companies will be entitled registered with the Chinese Government. These companies will make a massive investment of $3 billion in this business. However, the official also clarifies that the Live Stock Department is not going to sign an agreement in haste. It will think carefully before approving such a contract as they do not want to face the scarcity of animals in their province. According to the draft, in the first three years of the farming, the department intends to export 80,000 donkeys to China. In the first phase, they are planning to ship all of the sick and old donkeys from KPK. In China, the donkey is a highly demanded animal. The meat is used for eating purpose, and the skin is used in medicines, cosmetics, and furniture.